Hedmark Folkemuseum was founded in 1906, just one year after Norway became an independent state. 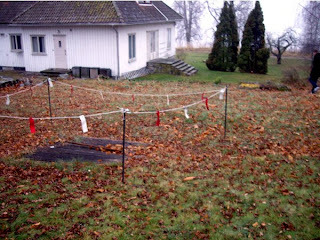 It is located at Domkirkeodden, close to what is left of the Hamar cathedral and the bishops fortress. Today you can wander around admiring buildings from the two only counties with no coastline, Hedmark and Oppland county. 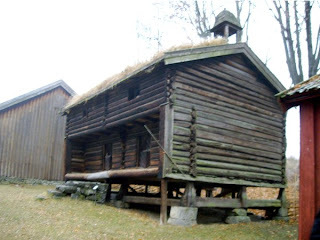 This farm building built in solid wood, comes from Grimsrud farm located at Helgøya, the largest island in Mjøsa, Norways largest lake. 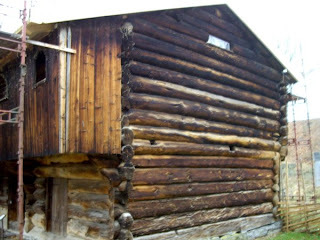 It is built in 1775, and was bought in 1905 from Nils Vien and was rebuilt in 1906 as the first building on the museum. This building comes from Vang, close to the city of Hamar. It was bought from Kristoffer Skråstad in 1913 and rebuilt on the museum 1913-1914. 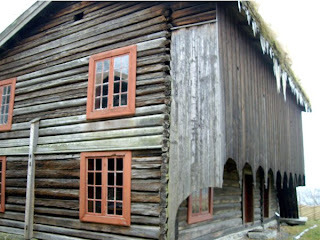 The building from Skråstad Nedre is one of the oldest at the museum, built around 1600. This magnificent building was a gift from Hans Ree and was rebuilt at the museum in 1909. 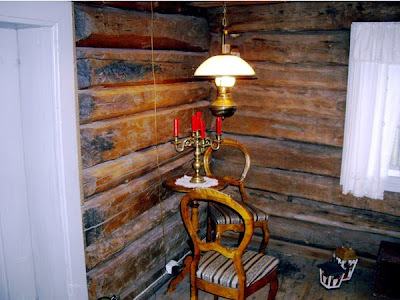 It comes from the bourough of Stange, south of Hamar and dates back to 1778. There were many houses like this on the old farms, and luckily many are preserved. 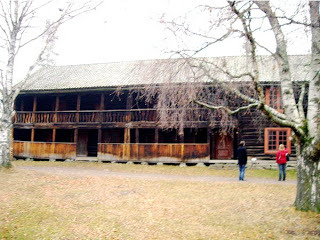 This large building is also from the area around Hamar. It was bought from Johan Hubred in 1909 and rebuilt 1912-1913. The oldest part of the building dates back to 1746 but has been extended during the years. The school connected to Hamar cathedral was built south of the church on this location in 1153, and was closely connected to the ecclesiastic buildings at Domkirkeodden. After the cathedral was burned down and abandoned it was transferred to the church at Vang in 1584. On this site you found the main building of Storhamar farm here, and the large barn on the farm was rebuilt partly on the remains of the archbishops palace and from stones from the cathedral. 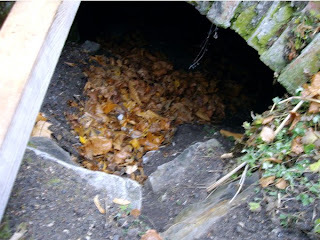 The intriguing thing is that below the surface you may still find the medieval vaulted cellars of the school. Here you are on truly historic grounds. Being Harry - being happy!